SEATTLE, WA — Had all three Northwest tournaments gone to seed, the region would have fallen under a Seattle reign, a sweep of Sockeye, Riot, and Mixtape. But the tournament had surprises in store, not the least of which was a regional championship for Furious George. Meanwhile, Riot cleaned up a tidy title and Mixtape won another crosstown matchup with BFG to take the region. This past Sunday, a fine fall afternoon in Olympia, WA, Malcolm Bryson climbed the ladder to snag a huck from Tim Tsang and landed in the end zone—disc, goal, and 2018 Northwest Men’s Regionals title secured. The catch capped #18 Vancouver Furious George’s 13-10 victory over heavy favorites #3 Seattle Sockeye. It also marked Vancouver’s first regional title since 2006. In a different, not-too distant part of ultimate history, Furious George always made Nationals—no question. Since 2014, however, it hasn’t been a done deal. 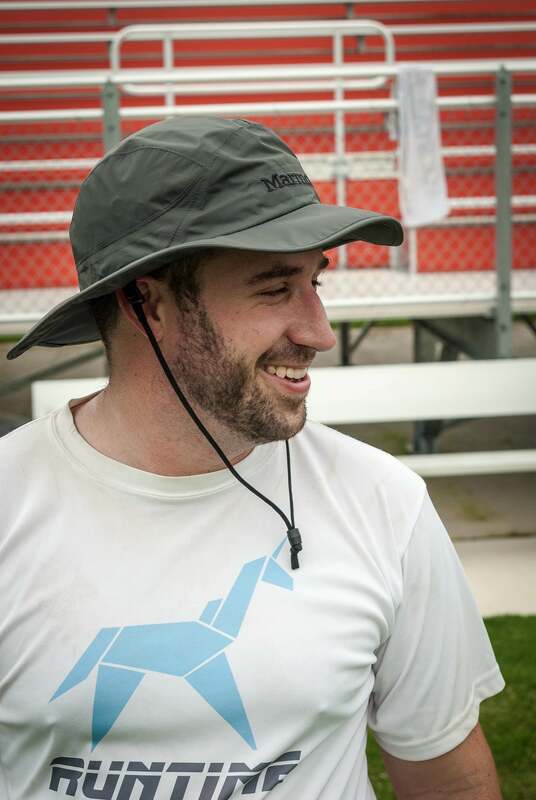 As USA Ultimate experimented with the club season schedule, silently sparring with the MLU and the AUDL schedules, and as talent became more transient, Furious struggled to find a consistent season while still seeing themselves as a top club. They’ve been twice in the last four years. “Not making it last year is so devastating. When you go to Regionals, the two outcomes are pure joy and utter heartbreak. We’re not a program that’s in between,” said captain Kevin Underhill. Heartbreak in 2018 wasn’t an option. Vancouver’s win over Sockeye was their 14th in a row since late August. Furious rolled out new defensive sets and amped up the pressure at Regionals, avenging a regular season loss to Portland Rhino Slam to win their pool on Saturday and thumping #23 Seattle Voodoo Sunday morning to secure a bid. The team was on a tear to claim one of the bids they’d helped to earn for the Northwest. Believe it or not, this was all according to plan. With the AUDL gone from Vancouver, Underhill and co-captains Fred Lam and Alex Davis found their club planning unblocked this year. They looked at their talent and meticulously planned 2018 to increase their chances of going to San Diego. The ranking algorithm isn’t a mystery and Vancouver’s scheduling strategy isn’t a revelation. But successfully executing on that strategy in spite of all the randomness and uncontrollable variables that come with a busy club summer—that’s impressive. Bryson’s game-winner was the cherry on top of a strong showing from Vancouver. The offense was patient and clinical against Sockeye’s switch-happy defenders. Underhill said that in the past the team would throw into those poaches, but this time, they stayed patient, found the open cutter and connected beautifully on their deep looks. Seattle went break-less in the final. Nationals hasn’t been a given for Vancouver in a long time—neither has consistent winning. If Northwest Regionals is any indicator, though, Furious George could easily be back in quarterfinals three weeks from now. Sockeye otherwise cruised at Regionals. Their talent and speed was rarely challenged, their pressure defense unmatched until Sunday afternoon in the loss against Furious George. Other speedy teams seemed able to hang around for a bit, but given some reps, Seattle defenders were able to find the seams in almost any offense and sneak in for blocks. Don’t read too much into their loss in the final. Sockeye had already qualified for Nationals with their morning win over Portland Rhino Slam! Consider it a data point as this Seattle team continues on their quest to rid themselves of the ghosts of 2017. #16 Portland Rhino Slam! took the third bid in the men’s division powered by Oregon Ego. Up 13-12 in a win-by-two scenario, Rhino pulled, got a turn, and then got a stunning grab from Leandro Marx. Adam Rees scored the bid-securing goal. Will Lohre plagued the Voodoo defense in the deep space, double and triple-cutting until Cody Bjorklund could hit him with flick hucks. The rebranded Portland squad looked youthful and jubilant, with former players guiding them as first-year coaches from the sidelines. Voodoo is headed for Top Select in 2019 after their near miss against Portland. It’s not Nationals, but it is promising for a young team that leaned heavily on chemistry from top college players. Their formidable O-line was stewarded by five current or former Washington Sundodgers players, complemented by two Western Washington Dirt alums. At the end of the first round of play Sunday morning, some Seattle Soul players thought an injury might’ve occurred in their game against #19 Seattle Underground. As reality came into focus—the two year-old Soul team had upset their Nationals-quality rivals 11-10—so too did the explanation for the disconsolate Underground players. Underground coach Frank Nam worked with team leadership all season to corral their notable talent into consistent performance. Half the 2018 roster was new and many of the additions needed to adjust to the elite club level. After some very strong play at the Bay Area Invite to end the regular season, a bout of inconsistency struck at the worst time: Regionals. After starting the weekend with two dominant 13-4 wins, Underground got stuck in a gusty, foul-weather game with Riot. According to Nam, neither team was playing pretty ultimate. But Riot—already on their way to an undefeated run and regional title—came away the clear victors, 13-3. 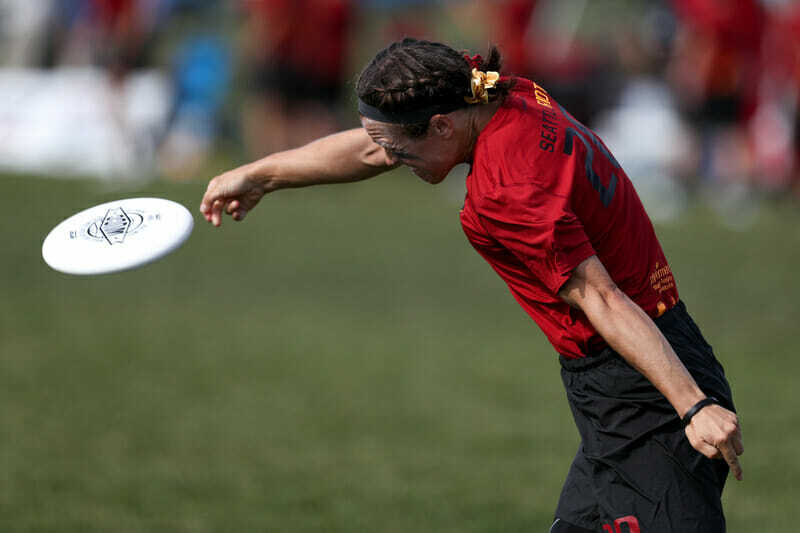 With a berth into the first place bracket on the line, Underground took on Salt Lake City Elevate, a boom or bust team with their strategy clear: huck it. That gave Underground the turns they needed to score breaks, but the offense couldn’t hold the lead. They ripped of two breaks, then Elevate took them back. The same pattern happened again. The game stayed tight. Kaylie Caldwell, 22 weeks pregnant, led the Elevate attack and torched Underground for four goals and three assists on their way to a 12-11 upset victory. Underground wasn’t struggling to generate pressure. Both D-lines had sets that worked and created turns. During a placement game against Portland Ivy, Nam could only watch as an Underground D-line handler called a fast-break opportunity inside half field, only to step to the disc and launch a hammer to a covered teammate at the back of the stack. Adding new talent to the roster was easy for 2018 Undergound, but finding the team-wide discipline to convert breaks consistently wasn’t. Hard to figure out what to make of this #10 Vancouver Traffic team after their performance at Bay Area Invite (where they beat Riot 15-13, then lost 15-11 to Underground) and now Regionals. Like a chameleon adapting to their environment, Traffic seemed to take on the characteristics of their opponent at times. Versus Riot, they were a focused elite team, losing 12-11 with a score in hard cap. In the game to go versus Salt Lake City Elevate, Traffic was a huck-happy team putting up deep shots to covered receivers, just like their opponents. In the end, however, Traffic had Catherine Hui and Elevate didn’t. Just in the final point, Hui got two consecutive hand blocks, but then hucked too deep for her receiver to catch up with. She got the disc right back with a layout block, then cut deep. The throw was a line drive down the line, but she sprinted across the front of the end zone and launched herself into diving save to seal the game. #3 Seattle Riot hammered most of their opposition en route to winning the Northwest. Their toughest test came during a 12-11 victory over Traffic in the first place semifinals. Otherwise, their depth and talent was simply too much for team’s to handle. They’ll continue on their path towards a top seed at Nationals and title contention. More surprising was the strength of #18 Portland Schwa‘s performance. They defeated Elevate twice by sizable margins, a tougher task than originally projected. Their big win was over Traffic; the 13-8 victory is probably their best of the season. Their path was a bid odd, with Underground removed so early, so Schwa only had to win four games to clinch a spot to Nationals. #2 Seattle Mixtape has steadily improved over the course of the latter (i.e. post-WUCC) portion of the season and had few struggles on the way to the Northwest Mixed final. Three teams scored a total of 11 points against them in pool play, and they overcame #19 Boise Lochsa 13-9 in the semifinals. However, it’s always a battle when Mixtape and their Seattle compatriots BFG face off, and the final was no exception. This time, there were no late game heroics; Mixtape held a small lead throughout most of the game, and finished it off in style with a huck from Khalif El-Salaam to Ellen Goldberg. Like Mixtape, #4 Seattle BFG cruised through pool play. However, their semifinal versus #16 Seattle Birdfruit was another story. The final round on Friday featured the gamut of weather conditions, strong gusty winds and heavy rain at times, but also periods when the sun broke through. Birdfruit took advantage of wet disc turns to get the first break and go up 4-2, but BFG held upwind and broke right back. The two teams traded holds as Birdfruit took half 7-6 on serve. BFG came roaring out to open the second half. A big layout block by Tommy Li led to an upwind break and BFG’s first lead of the game. They broke again downwind to take the 9-7 lead with the sun now out drying things off a bit. After a pair of holds, BFG broke upwind again, but this time, despite a pair of turnovers, Birdfruit worked it upwind behind strong throws from Margo Heffron in the center handler role. A great pull to the back corner of the end zone put BFG in a hole and zone pressure got Birdfruit the disc with a short field. Despite tight defense from BFG, Birdfruit’s patience was rewarded with a break to pull to within one at 11-10. Next came the epic point on which the game turned. Six times Birdfruit extracted turnovers from BFG, and three of those times they worked it to the upwind red zone, but all six times, BFG came up with the big block or forced the throwaway. Finally, on their seventh try, the higher seed punched in a hold to go up 12-10. A frustrated Birdfruit got the downwind hold, but BFG finished it off 13-11 and booked their date in the final with Mixtape. The game-to-go was another battle for BFG, this time against Lochsa, who had dispatched Birdfruit 13-6 in the backdoor bracket. The game was marked by tight defensive pressure from Lochsa throughout, but the Boise team started out on the wrong foot, as BFG quickly converted a turn to break on the first point. The two teams traded holds until 5-4, when Lochsa was a bit wide on a swing pass and BFG worked it up for another break 6-4. Lochsa got the hold, and after a few turns from each side, Lochsa lofted a crossfield hammer to the back of the end zone to even it at 6-6. BFG ground out the hold for half and then another to open the second half to take an 8-6 lead. Lochsa smoothly worked it into the red zone, but BFG clamped down. Many resets and a couple of pick calls later, the disc bounced off a Lochsa receiver’s hands in the end zone to give it back. BFG quickly moved themselves into scoring position, but a sloppy dish at the goal line fell short. After Lochsa worked it past midfield, Tommy Li picked off a lazy swing pass and executed a give and go with Julia Bladin, who finished with an upline to Mario O’Brien for the 9-6 lead. A series of holds closed out the game, 12-9 in soft cap. Lindsey Simon Fox scored all three of the final goals for BFG, with her sharp cuts consistently delivering major separation as they had all game. Comments on "Northwest Regionals 2018 Recap: Furious George’s Resurgence, Riot and Mixtape Strong"